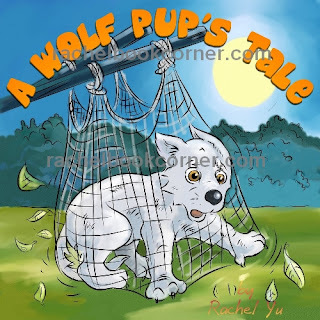 Rachel's Book Corner: A Wolf Pup's Tale Released Today ! A Wolf Pup's Tale Released Today ! This humorous, delightful story began as a writing assignment in Rachel’s 6th grade English class. Fast forward three years to the present, Rachel has transformed “Rugmo and the Other Side of the Fence,” to “A Wolf Pup’s Tale;” a beautifully illustrated, enchanting children’s book. It is a story about a young wolf pup, whose curiosity leads him to discovery, danger, and friendship. I've just read this. It... is... amazing! I must say, Rugmo and I have something in common: curiosity leads us to what we never expected.